Hello there! 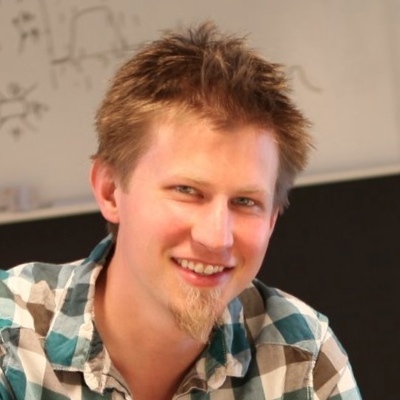 I'm Jason, a Machine Learning scientist, founding member of Uber AI Labs (previously Geometric Intelligence), and scientific advisor to Recursion Pharmaceuticals. 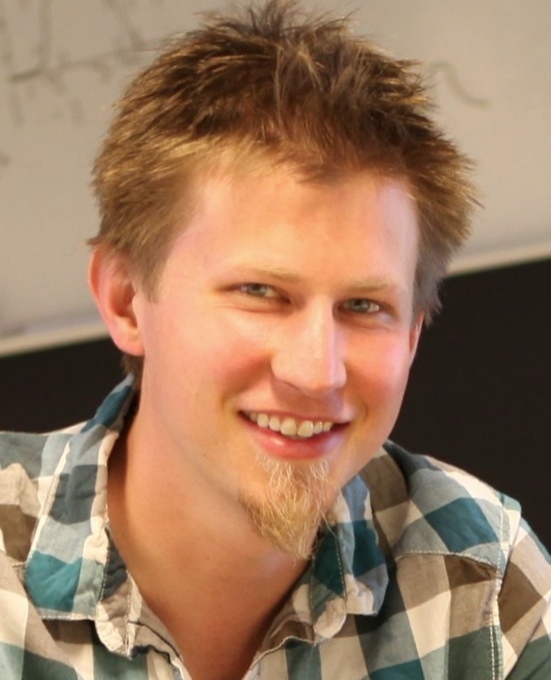 My research focuses on training and understanding neural networks and figuring out how to make them better. I completed my Ph.D. at Cornell, where at various times I worked with Hod Lipson (at the Creative Machines Lab), Jeff Clune, Yoshua Bengio (at U. Montreal's MILA), Thomas Fuchs (at Caltech JPL), and Google DeepMind. I was fortunate to be supported by a NASA Space Technology Research Fellowship, which gave me the opportunity to trek around and work with all these great folks. Unsupervised learning of models for probability distributions can be difficult due to intractable partition functions. We introduce a general family of models called Generative Stochastic Networks (GSNs) as an alternative to maximum likelihood. Briefly, we show how to learn the transition operator of a Markov chain whose stationary distribution estimates the data distribution. Because this transition distribution is a conditional distribution, it's often much easier to learn than the data distribution itself. Intuitively, this works by pushing the complexity that normally lives in the partition function into the “function approximation” part of the transition operator, which can be learned via simple backprop. We validate the theory by showing several successful experiments on two image datasets and with a particular architecture that mimics the Deep Boltzmann Machine but without the need for layerwise pretraining. (read the paper) Many labs work on gait learning research, but since they each use different robotic platforms to test out their ideas, it is hard to compare results between these teams. 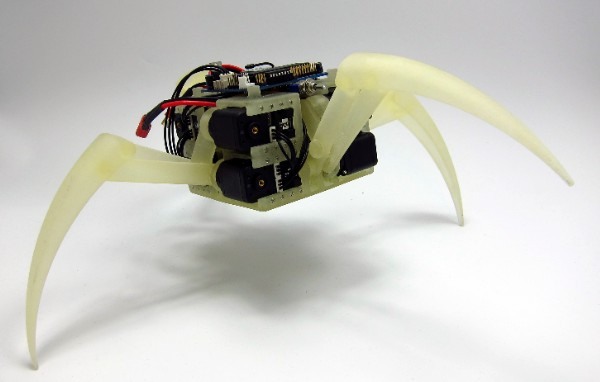 To encourage greater collaboration between scientists, we have developed Aracna, an open-source, 3D printed platform that anyone can use for robotic experiments. 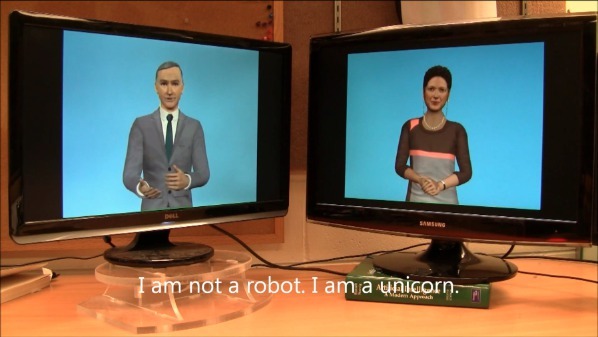 As part of a class project, Igor Labutov and I cobbled together a speech-to-text + chatbot + text-to-speech system that could converse with a user. We then hooked up two such systems, gave them names (Alan and Sruthi), and let them talk together, producing endless robotic comedy. Somehow the video became popular. There was an XKCD about it, and Sruthi even told Robert Siegel to “be afraid” on NPR. Dress appropriately for the coming robot uprising with one of our fashionable t-shirts. (read the paper) Getting robots to walk is tricky. We compared many algorithms for automating the creation of quadruped gaits, with all the learning done in hardware (read: very time consuming). The best gaits we found were nearly 9 times faster than a hand-designed gait and exhibited complex motion patterns that contained multiple frequencies, yet showed coordinated leg movement. More recent work blends learning in simulation and reality to create even faster gaits. Nevermind all this, just show me the videos! Or, if you prefer, here's a slightly outdated CV. Jason Yosinski, Jeff Clune, Yoshua Bengio, and Hod Lipson. How transferable are features in deep neural networks?. 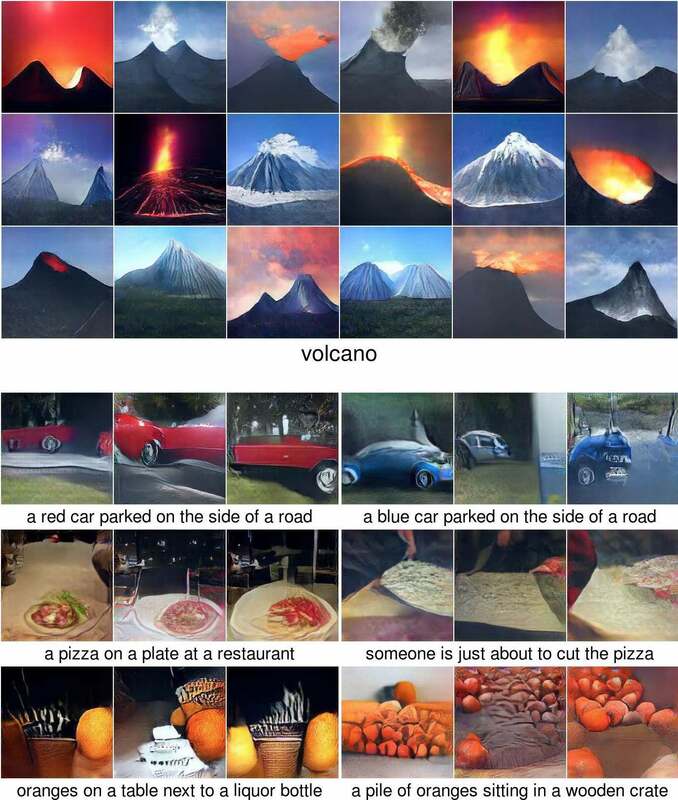 Advances in Neural Information Processing Systems 27 (NIPS '14), pages 3320 - 3328. 8 December 2014. See also: earlier arXiv version. Oral presentation (1.2%). Many deep neural networks trained on natural images exhibit a curious phenomenon in common: on the first layer they learn features similar to Gabor filters and color blobs. Such first-layer features appear not to be specific to a particular dataset or task, but general in that they are applicable to many datasets and tasks. Features must eventually transition from general to specific by the last layer of the network, but this transition has not been studied extensively. 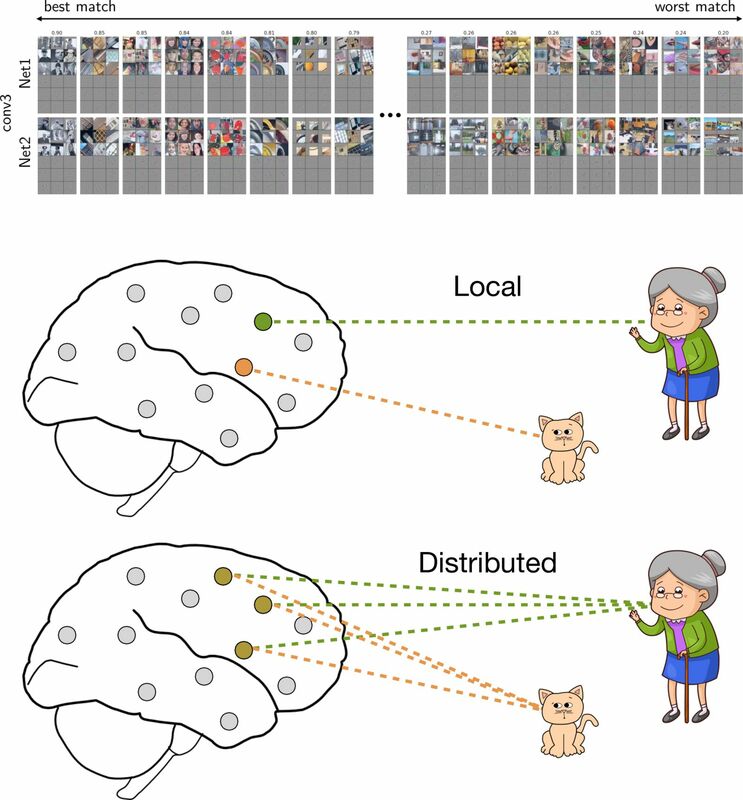 In this paper we experimentally quantify the generality versus specificity of neurons in each layer of a deep convolutional neural network and report a few surprising results. 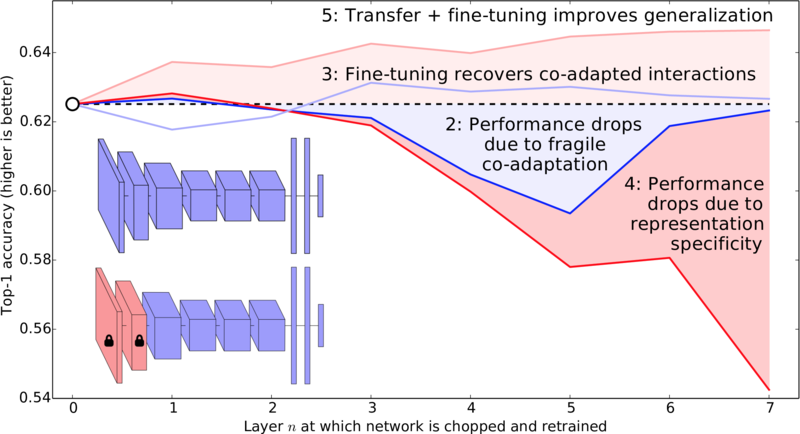 Transferability is negatively affected by two distinct issues: (1) the specialization of higher layer neurons to their original task at the expense of performance on the target task, which was expected, and (2) optimization difficulties related to split- ting networks between co-adapted neurons, which was not expected. In an example network trained on ImageNet, we demonstrate that either of these two issues may dominate, depending on whether features are transferred from the bottom, middle, or top of the network. We also document that the transferability of features decreases as the distance between the base task and target task increases, but that transferring features even from distant tasks can be better than using random features. A final surprising result is that initializing a network with transferred features from almost any number of layers can produce a boost to generalization that lingers even after fine-tuning to the target dataset. Anh Nguyen, Jason Yosinski, and Jeff Clune. 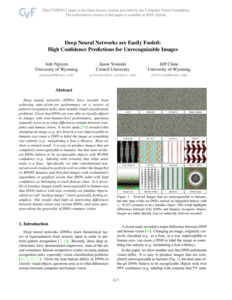 Deep Neural Networks are Easily Fooled: High Confidence Predictions for Unrecognizable Images. The IEEE Conference on Computer Vision and Pattern Recognition (CVPR). 8 June 2015. Oral presentation (3.3%), CVPR 2015 Community Top Paper Award. Deep neural networks (DNNs) have recently been achieving state-of-the-art performance on a variety of pattern-recognition tasks, most notably visual classification problems. 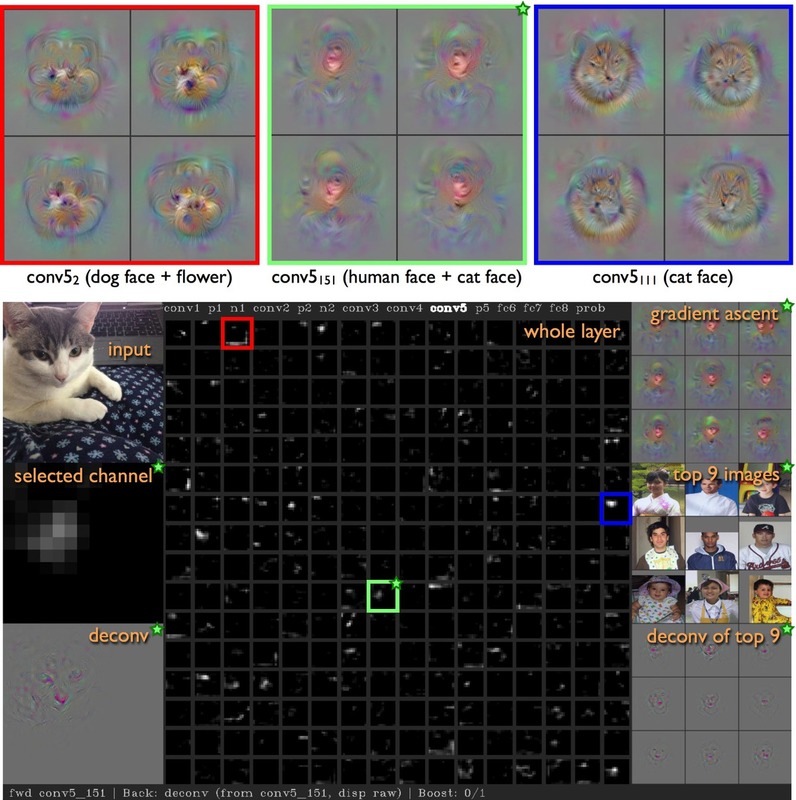 Given that DNNs are now able to classify objects in images with near-human-level performance, questions naturally arise as to what differences remain between computer and human vision. A recent study  revealed that changing an image (e.g. of a lion) in a way imperceptible to humans can cause a DNN to label the image as something else entirely (e.g. mislabeling a lion a library). 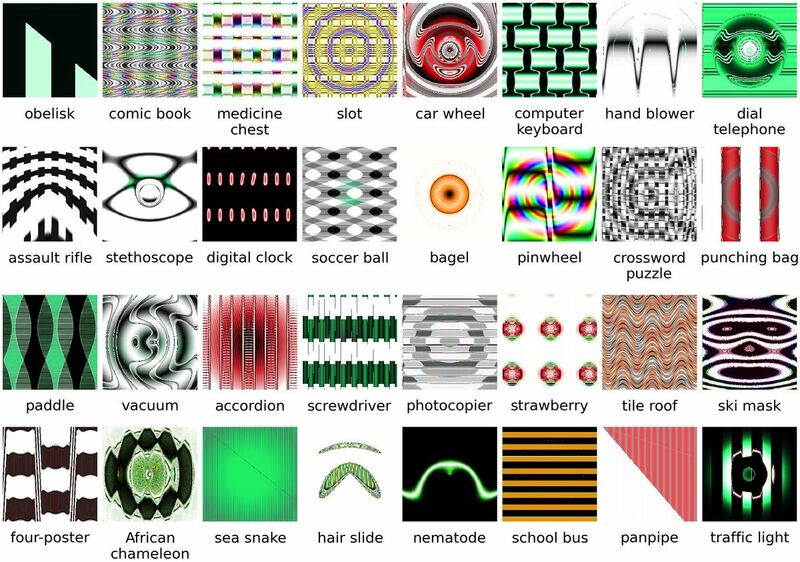 Here we show a related result: it is easy to produce images that are completely unrecognizable to humans, but that state-of-the-art DNNs believe to be recognizable objects with 99.99% confidence (e.g. labeling with certainty that white noise static is a lion). Specifically, we take convolutional neural networks trained to perform well on either the ImageNet or MNIST datasets and then find images with evolutionary algorithms or gradient ascent that DNNs label with high confidence as belonging to each dataset class. It is possible to produce images totally unrecognizable to human eyes that DNNs believe with near certainty are familiar objects, which we call "fooling images" (more generally, fooling examples). Our results shed light on interesting differences between human vision and current DNNs, and raise questions about the generality of DNN computer vision. Yoshua Bengio, Éric Thibodeau-Laufer, Guillaume Alain, Jason Yosinski. Deep Generative Stochastic Networks Trainable by Backprop. Proceedings of the International Conference on Machine Learning. 21 June 2014. See also: supplemental section, earlier and later arXiv versions. We introduce a novel training principle for probabilistic models that is an alternative to maximum likelihood. The proposed Generative Stochastic Networks (GSN) framework is based on learning the transition operator of a Markov chain whose stationary distribution estimates the data distribution. The transition distribution of the Markov chain is conditional on the previous state, generally involving a small move, so this conditional distribution has fewer dominant modes, being unimodal in the limit of small moves. Thus, it is easier to learn because it is easier to approximate its partition function, more like learning to perform supervised function approximation, with gradients that can be obtained by backprop. 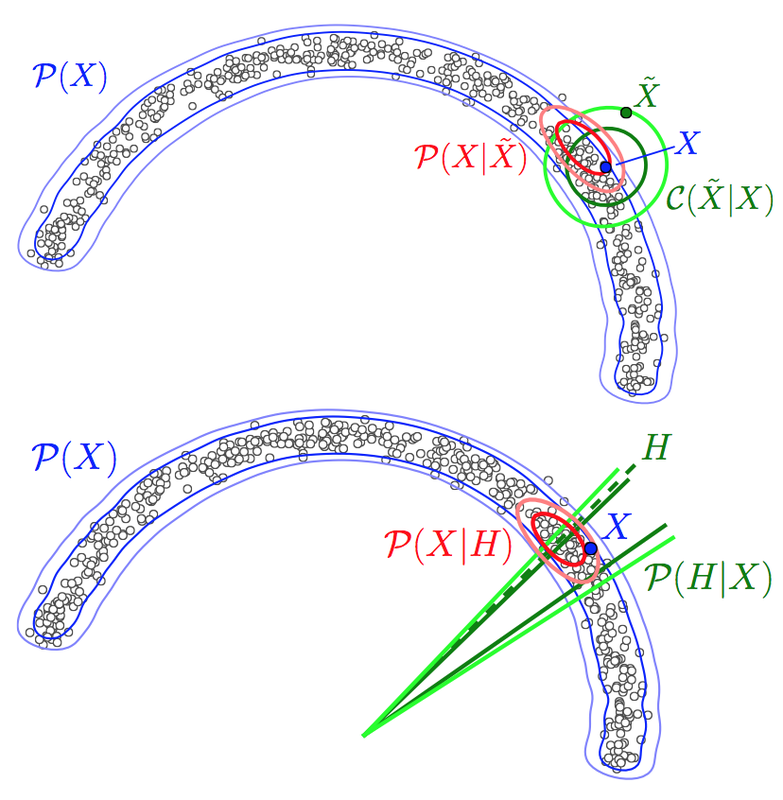 We provide theorems that generalize recent work on the probabilistic interpretation of denoising autoencoders and obtain along the way an interesting justification for dependency networks and generalized pseudolikelihood, along with a definition of an appropriate joint distribution and sampling mechanism even when the conditionals are not consistent. GSNs can be used with missing inputs and can be used to sample subsets of variables given the rest. We validate these theoretical results with experiments on two image datasets using an architecture that mimics the Deep Boltzmann Machine Gibbs sampler but allows training to proceed with simple backprop, without the need for layerwise pretraining. Jeff Clune, Jason Yosinski, Eugene Doan, and Hod Lipson. EndlessForms.com: Collaboratively Evolving Objects and 3D Printing Them. Proceedings of the 13th International Conference on the Synthesis and Simulation of Living Systems. 21 July 2012. Winner of Best Poster award. Sara Lohmann, Jason Yosinski, Eric Gold, Jeff Clune, Jeremy Blum and Hod Lipson. 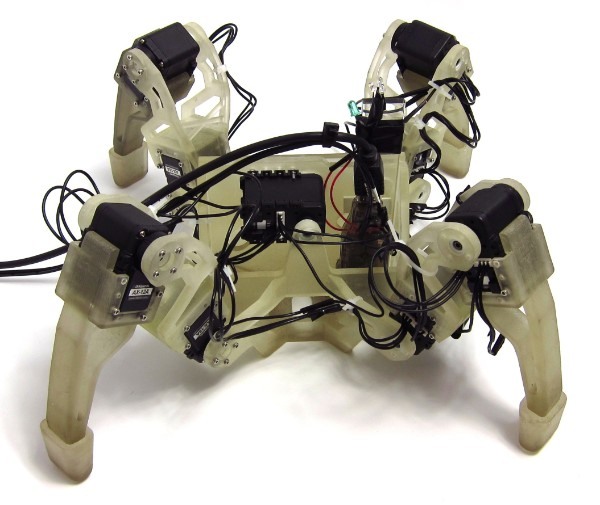 Aracna: An Open-Source Quadruped Platform for Evolutionary Robotics. Proceedings of the 13th International Conference on the Synthesis and Simulation of Living Systems. 19 July 2012. Winner of Best Presentation award. 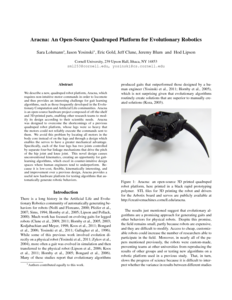 We describe a new, quadruped robot platform, Aracna, which requires non-intuitive motor commands in order to locomote and thus provides an interesting challenge for gait learning algorithms, such as those frequently developed in the Evolutionary Computation and Artificial Life communities. Aracna is an open-source hardware project composed of off-the-shelf and 3D-printed parts, enabling other research teams to modify its design according to their scientific needs. Aracna was designed to overcome the shortcomings of a previous quadruped robot platform, whose legs were so heavy that the motors could not reliably execute the commands sent to them. We avoid this problem by locating all motors in the body core instead of on the legs and through a design which enables the servos to have a greater mechanical advantage. Specifically, each of the four legs has two joints controlled by separate four-bar linkage mechanisms that drive the pitch of the hip joint and knee joint. This novel design causes unconventional kinematics, creating an opportunity for gait-learning algorithms, which excel in counter-intuitive design spaces where human engineers tend to underperform. Because it is low-cost, flexible, kinematically interesting, and and improvement over a previous design, Aracna provides a useful new hardware platform for testing algorithms that automatically generate robotic behaviors. Jason Yosinski, Jeff Clune, Diana Hidalgo, Sarah Nguyen, Juan Cristobal Zagal, and Hod Lipson. 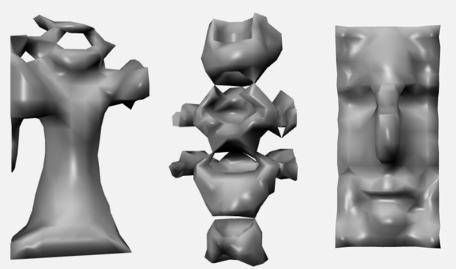 Evolving Robot Gaits in Hardware: the HyperNEAT Generative Encoding Vs. Parameter Optimization. Proceedings of the 20th European Conference on Artificial Life, Paris, France. pp 890-897. 8 August 2011. Creating gaits for legged robots is an important task to enable robots to access rugged terrain, yet designing such gaits by hand is a challenging and time-consuming process. In this paper we investigate various algorithms for automating the creation of quadruped gaits. Because many robots do not have accurate simulators, we test gait-learning algorithms entirely on a physical robot. We compare the performance of two classes of gait-learning algorithms: locally searching parameterized motion models and evolving artificial neural networks with the HyperNEAT generative encoding. Specifically, we test six different parameterized learning strategies: uniform and Gaussian random hill climbing, policy gradient reinforcement learning, Nelder-Mead simplex, a random baseline, and a new method that builds a model of the fitness landscape with linear regression to guide further exploration. While all parameter search methods outperform a manually-designed gait, only the linear regression and Nelder-Mead simplex strategies outperform a random baseline strategy. Gaits evolved with HyperNEAT perform considerably better than all parameterized local search methods and produce gaits nearly 9 times faster than a hand-designed gait. The best HyperNEAT gaits exhibit complex motion patterns that contain multiple frequencies, yet are regular in that the leg movements are coordinated. Before coming to Cornell, I did my undergrad at Caltech and then worked on estimation at a research-oriented applied math startup for a couple years. Slides from Machine Learning Summer School, in Kyoto, Japan, 2012. A bit of science fiction I wrote for a class. Fall Break 2011 trip to Lake George with other grad students. Flood cleanup in Owego, NY. Five week Europe and San Francisco conference trip during the summer of 2011. Fireworks on the First of July, because Ithaca is weird. Cross-country skiing for the first time, in Ithaca. Trip to Vermont with my roommates. See some pictures from my summer 2010 backpacking trip through South America. The Robotics Program at Eliot Middle School, created by Steve Crosby and I (then became StemX, now PEF Stem, run by Erik Dreyer). Find me on Twitter, Google Plus, Facebook, and Github.